One day a year is not enough to honor our Dads for all they do--words cannot to describe how much we love them and how much they mean to us. So we spent the weekend with John's dad, watching the movie, The Hangover Part II (which was absolutely hilarious) and had dinner in Boulder City after a day by the pool. John is also a Dad to Havi and Elgy. To name a few of the many things he does, he takes care of their litter boxes and picks up after them when they throw up. He does so much for them (and for me) each day; there is nothing he won't do not to mention the dishes after I cook, bike maintenance, errands, and house chores (I won't go on and on). So we spent the weekend doing the things that John enjoys: cycling, food, pool time, and spending time with the people he loves. 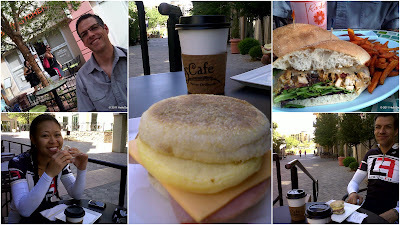 Saturday morning we rode our bikes from home to Lake Las Vegas and had breakfast at a cafe inside The Village, then laid by the DayDream pool at the M Casino, and grabbed a quick bite at Rachel's Kitchen (the Curry Chicken Salad sandwich and 14-Carrot smoothie is delicious!) at the Green Valley District before meeting John and Maggie at the theatre to watch a movie. Sunday morning we rode to breakfast at New Day Cafe near our house and spent the afternoon by the pool at John's parents' home. Maggie made a tasty dinner (as usual) and we ate way too much (as always) but can't help ourselves because it was SO GOOD!! Even though Father's Day is recognized one day a year, I think we made the most of it. Besides, who says we have to stop celebrating our Dads the rest of the year? Hi Michelle, I think I was the only one though I got a couple compliments from girls nearby saying how cute my suit it and another girl came up to me and gave me props for wearing a thong. She said she wished she had wore one. 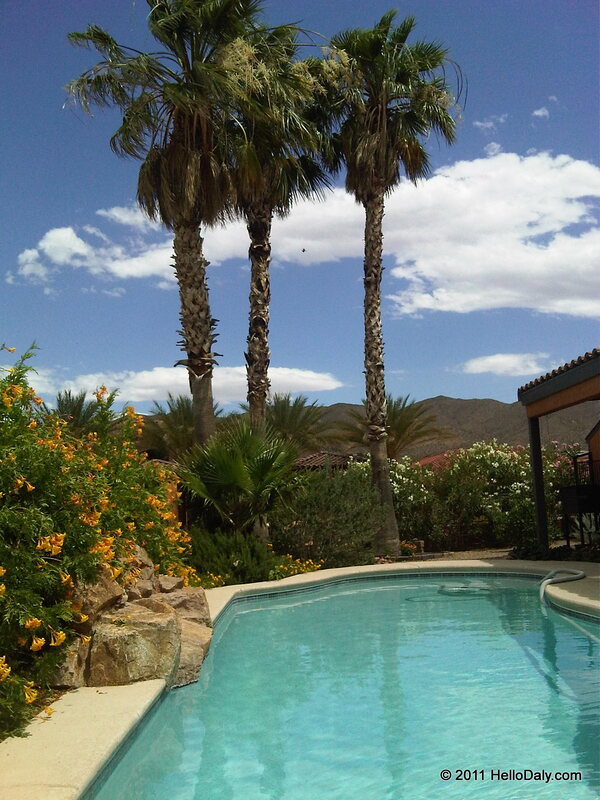 :-) Let us know when you are out here so we can join you by the pool. There have not been many bikini pictures of you lately. Thought you had become totally fat or something. But you look awsome, must be some other reason why there are no more bikini pictures of you.